Things are getting pretty exciting now, aren’t they? And, depending on your torso length and the position of your baby, they’re probably getting pretty cramped too! Even so, the bond between you and your baby is so established. You know each other’s’ rhythms, you can identify your baby’s parts (most notably heads, bums, feet and hands, when he moves) and he responds to your voice and exterior sounds. However, space is limited in there and we know that makes for some exceptional discomforts from time to time. So, for our Month 8 Pregnancy Guide, we’ll make sure to provide some pregnancy-soothing suggestions. Your Eighth Month of Pregnancy: What’s Going On In There Now? During this month, your baby will begin to migrate into the position from which he will be born. For the majority of births, this is the vertex or head-down position. If he’s not already there, he probably will be soon. However, don’t worry if this isn’t happening yet. Some babies get comfy in other positions and will turn much closer to your due date. It might not always feel this way, but your baby is actually sleeping about 90% to 95% of the time. Even those stretches and smaller movements can take place for him while sleeping the same way you roll over from side to side during the night. At this point, baby’s body is still playing proportional catch-up to that big head, and your baby is putting on extra fat, preparing for birth. He is about 18-inches long and weighs roughly five pounds – so it’s like having a sack of flour in your belly (one with some seriously mobile appendages). Most of the striking anatomical changes that occurred in earlier months are all complete now and your baby simply looks like himself…minus a couple of pounds. His body is continuing to mature his lungs, making them ready to take that very first breath. Fetal lungs aren’t considered “developed enough” until about the 36-week point so the longer you can keep baby in, the better – even if you wish he’d come sooner rather than later. In some ways, these last two months are much like the first two months in terms of how you treat your body. It’s working so hard to accommodate that growing baby, but while you will notice your belly expanding on an almost daily basis until baby is born, your weight gain will begin to slow down now. Even so, your body needs lots of rest. Try to put your feet up (literally, as that will increase circulation and eliminate any water retention in the extremities), take naps and eat smaller meals more often to keep from feeling overly-full and to reduce any heartburn you may be experiencing. If heartburn is giving you trouble, it’s probably okay to take over-the-counter antacids, but check with your doctor to make sure. Also, finishing meals at least two (optimally four) hours before you lay down will help as well. Since your baby is bigger, and moving into a head-down position, your bladder is compressed to virtually nothing. You’ll want to stick to activities that involve a bathroom nearby, and consider using pads if you begin to leak or dribble when you laugh, sneeze, cough or move suddenly. This is very common during those last couple of months and will subside post-partum with a little time and kegel exercises. Bolster that body with pillows when you are sitting or lying down – making sure your lower back is always supported. Keep an eye on that aforementioned foot/ankle swelling. A little swelling is normal, but if it seems to happen rather suddenly, extends noticeably into hands or your face, and/or is accompanied by headaches, check in with your doctor to rule out preeclampsia. If you haven’t experienced Braxton-Hicks contractions yet, odds are you will this month. These are NOT the same as real labor contractions but are often mistaken as such, especially by first-timers. 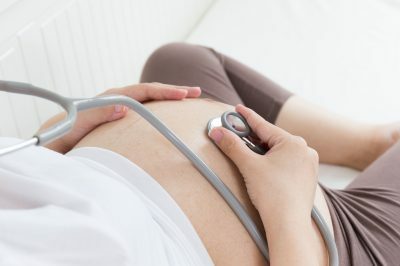 Read, Can You Predict Pre-Term Labor? to learn more about what constitutes “real” labor and what is only a practice round, getting your body in gear for the main event. Starting in Month 8, your OB/GYN or midwife will want to see you two times per month so clear a little extra room in your calendar. Have questions or concerns about Month 8 pregnancy issues? New to the area and needing to find the right labor and delivery team? 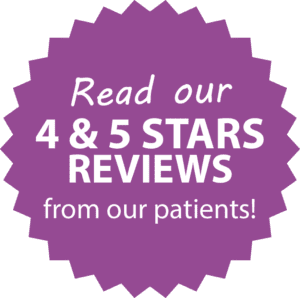 Schedule an appointment with Overlake OB/GYN and our team of doctors and licensed nurse midwives will take excellent care of you.